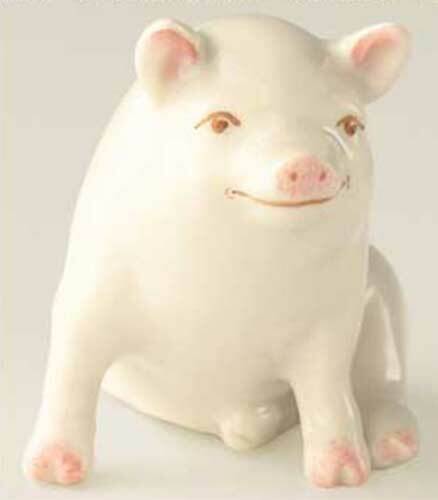 The Belleek pig is a 2008 limited edition re-introduction from the archives. The hand painted Belleek pig figurine was originally introduced in 1904 and is reintroduced as a limited edition of 2,000 numbered pieces. This Irish china Belleek pig measures 2 1/4" tall x 3" long x 1 3/4" wide and is handmade in Belleek, Ireland. The Belleek china figurine is received gift boxed.